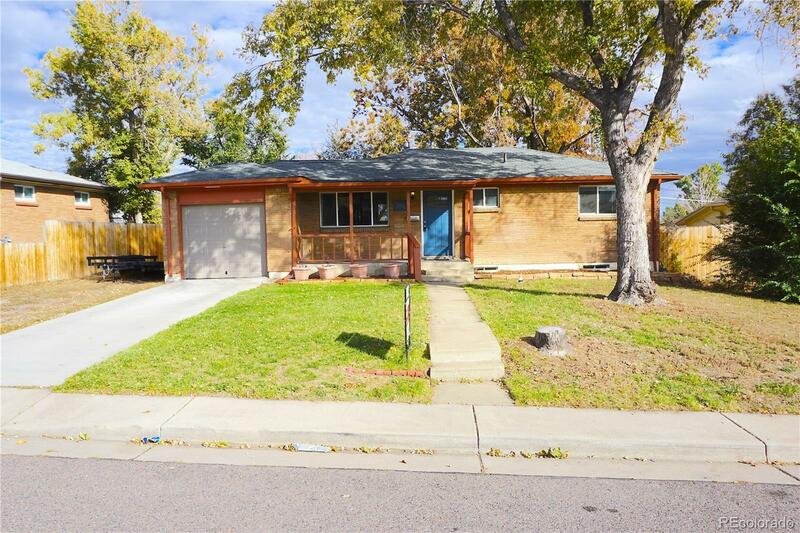 West facing updated brick ranch home. Cute front porch and patio area in back. Large shade trees in the front and back yard. Huge backyard with new privacy fence. Updated kitchen boasts stainless appliances, granite countertops, and ceramic tile floors. Open concept with granite counter eating area.Large master bedroom with 2 closets and newer carpet.Newer windows(wood blinds), new furnace and new central air. Original hardwood floors on main level. Basement has been completely remodeled and has a large family room, full bath, laundry room and 2 good sized bedrooms(non-conforming). HOME WARRANTY PACKAGE INCLUDED Close to schools, churches and public transportation. Quick access to I25 and US36.